Darwin the "Ikea Monkey" has been safe and sound at a primate sanctuary since being rescued from his inattentive owner - but his oversized jacket could soon be filled anew by yet another simian. 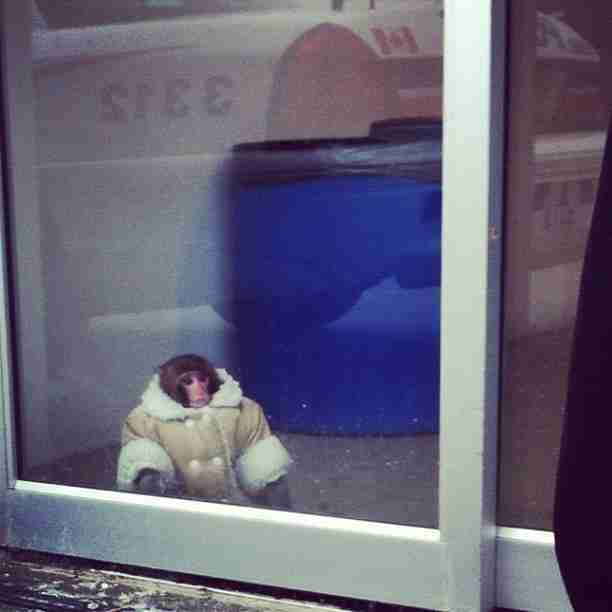 The monkey's former owner, Yasmin Nakhuda, lost ownership of Darwin amid allegations of neglect after he was found wandering unattended through a Toronto Ikea parking lot in 2012. Now she has reportedly acquired two more animals just like him. 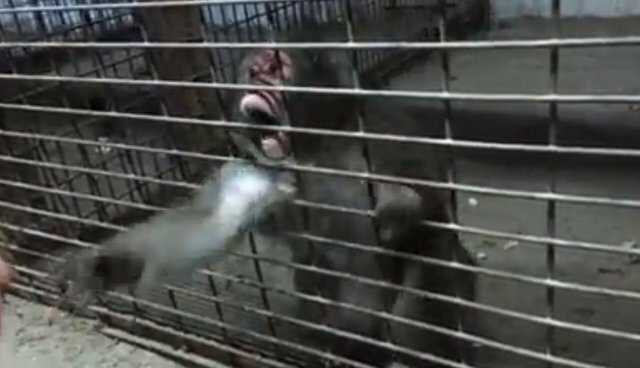 Nakhuda had filed a lawsuit to get Darwin back, but an Ontario court denied her bid citing Toronto law prohibiting primates as pets. But since then, she has apparently moved to another region of the province where no such ban exists. A Facebook page dedicated to Darwin announced on Monday that Nakhuda had purchased the Japanese macaques from a zoo in Ottawa that is up for sale. 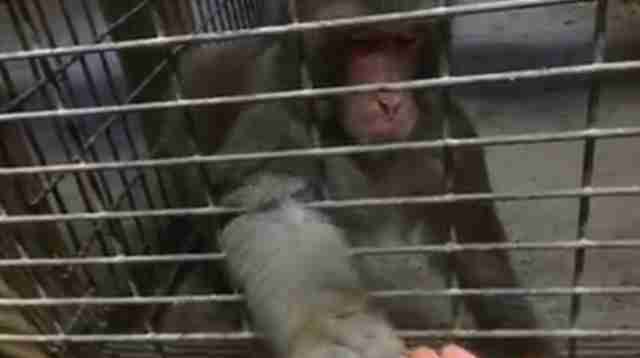 Videos on the page show the two monkeys, six-year-olds Sumo and Tibet, appearing confused and agitated in stark wire cages. "The journey starts...buckle your seat belts!" reads a preceding post. "To follow are the first videos taken. Hope they will make your heart swell with joy and make your day." "Ontario urgently needs consistent, province-wide laws for the keeping and sale of exotic pets. Municipalities have been forced to pick up the slack, and the result is an inconsistent patchwork of bylaws that allows private pet collectors to keep primates and other dangerous animals in many areas." While history has shown keeping primates in a domestic setting can endanger the lives of their owners and others' safety, experts say the practice also comes at the expense of the animals' well being. "If you try to keep them as pets you're creating a mentally disturbed animal in 99.9 percent of the cases," veterinarian Kevin Wright told the National Geographic. "The animal will never be able to fit in any other home. Never learn how to get along with other monkeys. And, more often than not, will end up with a lot of behavioral traits that are self-destructive."